please note that your contributions, although deeply needed, are not tax deductible. thank you!!!! YOU CAN TELL US WHERE YOU WANT YOUR MONEY SPENT!!!!! 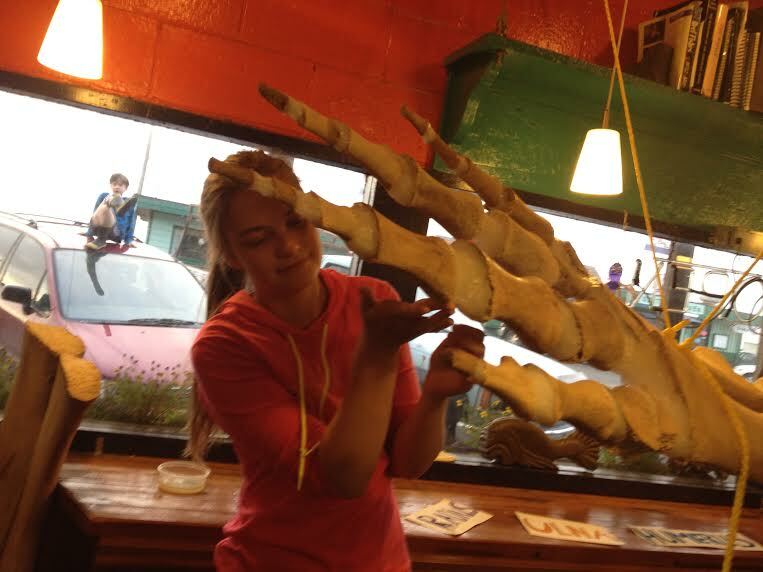 We are working on gray whale and sea turtle bone projects, your support will go to supplies to put these skeletons together for education. 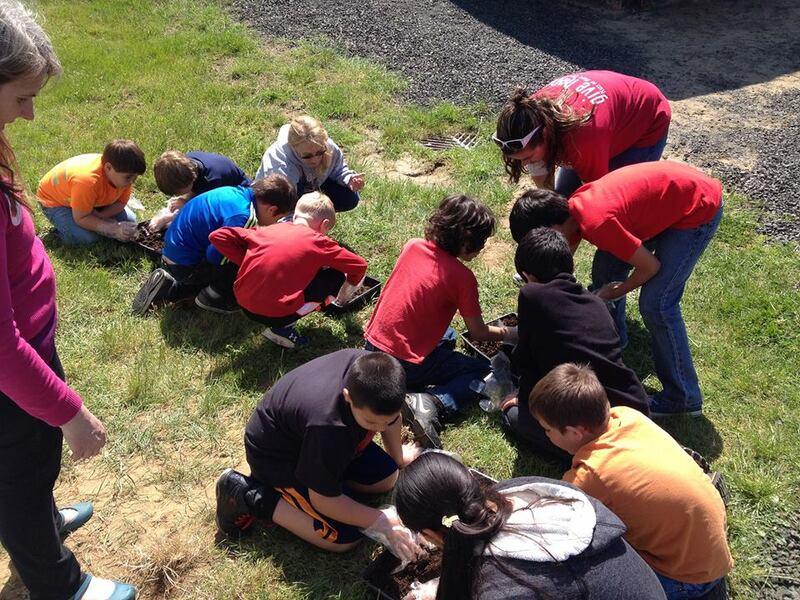 Outreach to schools and families: Westport Aquarium has a fish archaeology program we bring to classrooms, We help schools run tanks of local fish and related estuary habitats. 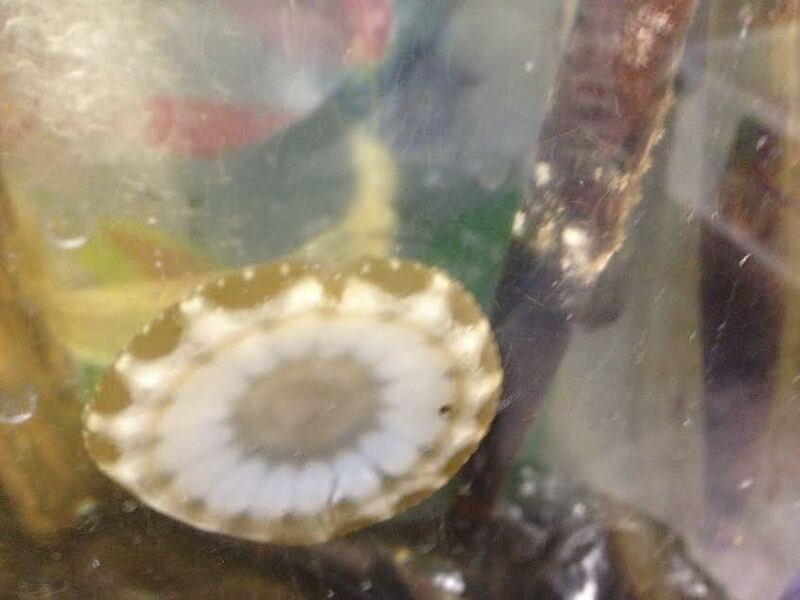 We bring all kinds of ocean related presentations to school assemblies and classrooms. JUST FILL IN THE BLANK ON THE PAYPAL FORM WITH YOUR CONTRIBUTION OR SEND US A NOTE TO LET US KNOW WHERE YOUR SUPPORT SHOULD BE APPLIED. !!!! FOLLOW THE MONEY !!!! SO, WHERE DOES MY MONEY GO?? The Westport Aquarium has a Two-Fold Mission. 1) It is imperative that The Aquarium, as an important Historical, Educational and Cultural Resource for Washington State, perseveres. Currently, Aquarium Staff are entrenched in on-going building renovation, development of new exhibits, pursuing community educational outreach and providing family activities at little or no cost on Aquarium grounds. 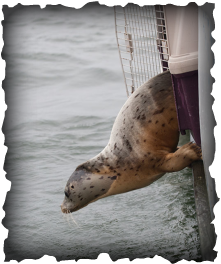 2) Westport Aquarium Staff are trained and highly active for the Marine Mammal Stranding Network, providing "on-the-beach" response to stranded seals, sea-lions and other marine mammals in need of monitoring, transport and documentation under the authority of WDFW and NOAA. SEE MORE UNDER "MARINE MAMMALS"
1) WESTPORT MAINTAINS ONE OF HIGHEST FISHING REVENUE ON THE ENTIRE WEST COAST? Many of the Westport Aquarium tanks showcase fish that are caught by our local fisherman. 2) $20 IN CRAFT SUPPLIES CAN PROVIDE ENRICHMENT FOR A WEEKEND WORTH OF FAMILIES AT THE FREE CRAFT TABLE? 3) THE REPLACEMENT OF 55 YEAR OLD AQUARIUM TANK GLASS IS OVER $300 A PANE. 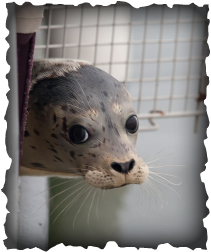 4) AQUARIUM STAFF HAVE DONATED hundreds of HOURS OF MARINE MAMMAL VOLUNTEER WORK. PLEASE CONTIBUTE AND MAKE A DIFFERENCE IN YOUR AQUARIUM!